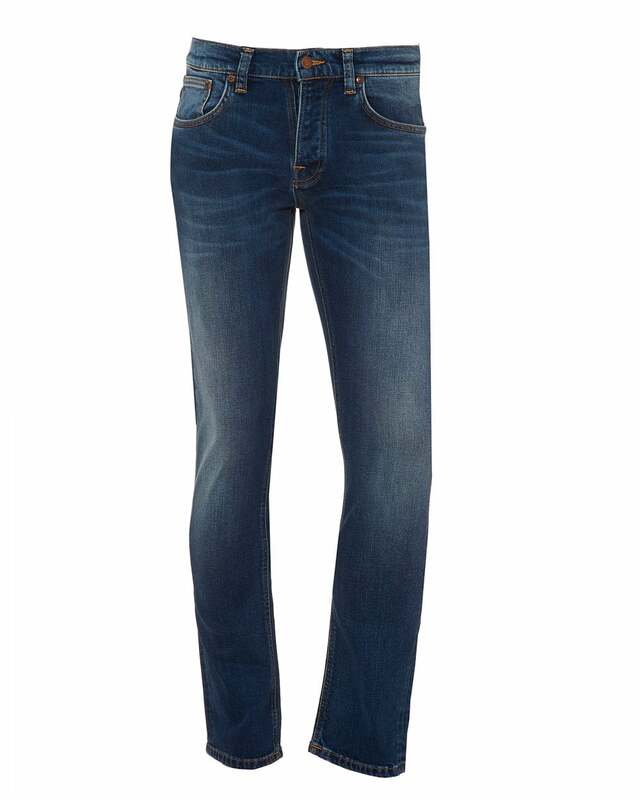 These blue washed jeans by Swedish brand Nudie Jeans are a staple for your wardrobe. Crafted from power stretch cotton fabric, with pockets, tonal navy stitching on a slim, tapered leg. For ultimate comfort, wear with a relaxed hoodie or t-shirt.